Euro Motors, the exclusive dealer and distributor for luxury automotive manufacturer Jaguar Land Rover in the Kingdom of Bahrain, is now making purchasing one of their masterpieces more appealing than ever with the exclusive ‘JAGUAR APPROVED’ and ‘LAND ROVER APPROVED’ certified pre-owned vehicle programme. The Jaguar Land Rover APPROVED vehicles campaign facilitates customers to purchase pre-owned certified vehicles with complete piece of mind by visiting the all new state-of-the-art Euro Motors Jaguar Land Rover Showroom, which has a dedicated floor that exhibits APPROVED vehicles. The APPROVED vehicles undergo vigorous inspection and testing in order to be delivered in superb condition. The campaign offers a wide array of benefits which include a minimum 2 year APPROVED warranty, a 24/7 Road Assistance package also for a minimum of 2 years, along with a professional, expert trade-in service. Speaking on the cost effective APPROVED vehicles campaign, Mr. Lee Boyle, General Manager of Euro Motors Jaguar Land Rover, said: “It is with great pleasure that, as part of our constant efforts to provide unrivalled customer experience, we are able to roll out this appealing APPROVED vehicles campaign. A program such as this enables us to meet the demand of the pre-owned vehicle market and facilitates making Jaguar and Land Rover vehicles more accessible to both our loyal and prospective customers within the Kingdom”. 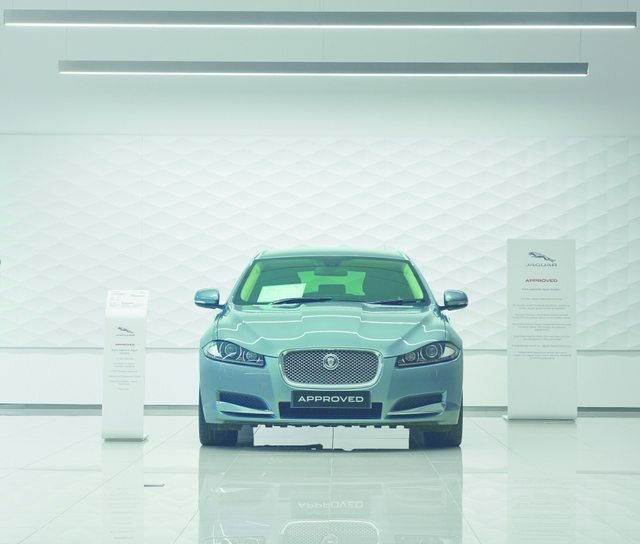 “All the Jaguar and Land Rover APPROVED vehicles in this campaign undergo comprehensive testing which includes a multi-point inspection that covers 165 mechanical, electric and safety checks. In order to provide our customers with the level of excellence that we stand by, the APPROVED vehicles are reconditioned by Jaguar and Land Rover Trained Technicians using Jaguar Land Rover technology and genuine parts, which allows our customers to experience them in all their magnificence. The APPROVED vehicles go through a certified kilometer check and by doing so, our customers are granted a fully up-to-date service history which in turn promotes our value for customer satisfaction. Once the checks and reworking on the APPROVED vehicles are completed, they are taken on a road test by one of our Jaguar Land Rover Trained Technicians. The entire process is done to ensure that our customers are able to purchase the finest certified pre-owned vehicles in Bahrain. The APPROVED vehicle campaign is an indication of our strong enthusiasm in bettering ourselves as we look to carry forward our strong start to the year,” he added. Customers can visit the first floor of the all new state-of-the-art Euro Motors Jaguar Land Rover Showroom, where all the available APPROVED vehicles are exhibited. Jaguar and Land Rover APPROVED vehicles have a dedicated floor therefore allowing customers to view the collection with ease. The APPROVED vehicles campaign is another step taken by Euro Motors Jaguar Land Rover in order to provide for the wide range of customers who look to enjoy affordable quality and reliability. Since the start of its operations in 1998, Euro Motors has successfully positioned itself as the leader in the automotive industry in the Kingdom of Bahrain. Continually striving to attain the highest standards, Euro Motors does not compromise on presentation, quality, technical service or customer care in accord with its belief in offering the utmost to customers.